DOWN ! NO CREDIT OK!!! WE DO NO CREDIT CHECK & NO INTEREST FINANCING!!! 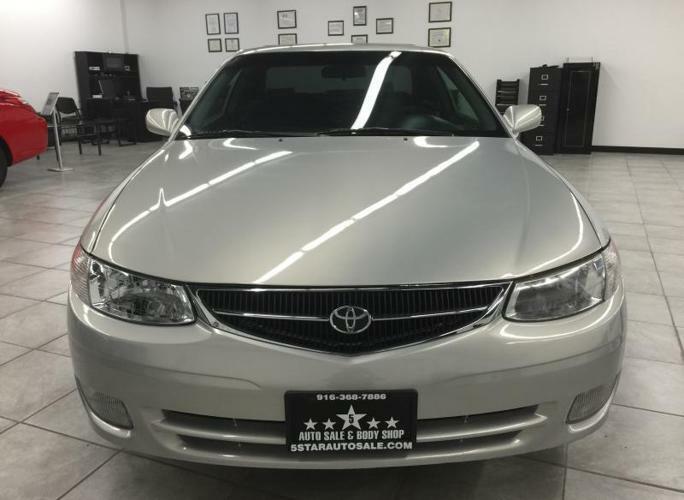 TOYOTA SOLARA COUPE! RUNS GREAT! LONG LASTING! CLEAN! WORTH IT! VERY RELIABLE! BEEN INSPECTED! PASSED SMOG! AND ALL SAFETY INSPECTIONS INCLUDING SERVICE! GAS-SAVER! GREAT ENGINE! LOADED! GREAT LIGHTS! LONG LASTING! CLEAN ENGINE! AFFORDABLE! GREAT COLOR! CLOTH INTERIOR! SMOOTH DRIVE! VERY LUXURIES!